A career in horticulture can lead to a varied and fulfilling career for someone who has an interest in growing plants, food production and enjoys working in the outdoors. Horticulture touches on so many aspects of our day-to-day lives; from the food we eat to the flowers we buy for gifts and for our own enjoyment, to the parks and sports grounds, we visit for play and recreation. Think you might like to work in horticulture? 1. Enjoy working Outdoors – No stuffy office for you. 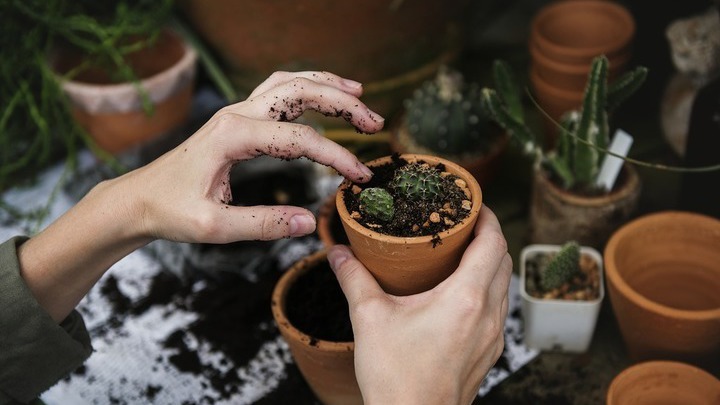 Horticulturists can be found digging, planting, landscaping to create gardens and outdoor facilities such as parks, golf courses, sporting fields. You will create the space that you and others can enjoy at their leisure. 2. Curiosity and Interest in the Natural World – Putting in the necessary groundwork to see seeds grow into plants, trees bud and flowers bloom can be so satisfying and rewarding. Horticulture is a very fulfilling career for those with an interest and curiosity for the natural world. 3. Grow your own fruit and veg – What’s more wholesome than home-made soup? Home-made soup made from your own organically grown vegetables. Having the patience to attend to a vegetable patch, sowing, watering, weeding or tending to fruit trees is a sure sign that you are cut out for horticulture. 4. Creative – There is a lot more to designing a garden than simply planting a few bulbs. To make a garden work and be aesthetically pleasing you need to have planting knowledge and creativity. Landscaping a garden requires a high degree of artistic flair and spatial awareness. Showing an aptitude for art and design and being able to blend this with knowledge of plant science is a good indicator of success in the field of horticulture. 5. Enjoy Manual Work – Horticultural can be quite physical and labour intensive. This can be very appealing to some people who enjoy a work-out on the job! However, if this is not you, don’t be put off by this. Horticulture is a varied field. Through getting a bit of work experience you will be able to discuss career routes with those already working in the field and you might find something that fits you. To find out more about Horticulture check out the CareersPortal Farming, Horticulture and Forestry page. There you will find interesting articles, stories, labour market information and videos of students studying horticulture. Here are two sample videos provided by Teagasc. To find more videos visit our sector page or click here to go straight to the video library.